I had been driving on the south cost of Iceland and did not find much interesting to shoot at that time. In a small town called Gardur I found this statue someone had placed on the beach, I knew that when the tight came it would be surrounded with the sea. 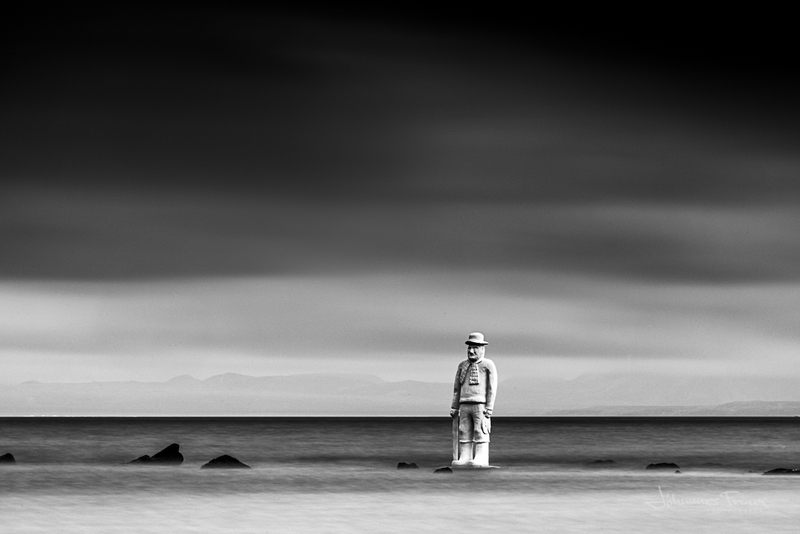 I decided to wait for about one hour until the water would completely surround the statue because I was going to use my 10 stop Lee filter to shoot this image, I was lucky the the sun was not out in the sky and I had some clouds in the distance to make this shot a little dramatic. After a few shoots I but my camera as low as I could and put on my 70-200 mm lens on so I could zoom in on the statue. 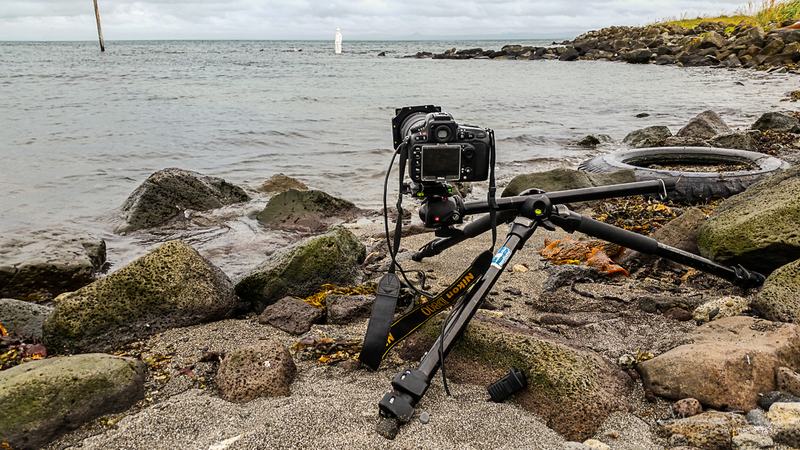 For this shoot I new I could not shoot for a very long time 20-700 lens and Nikon D800 is a heavy combination and the wind was moving the setup I tested this for a 60 second shoots but that was to much I could see the vibration in the image. So I found out that at F20 and 36 second and Iso 100 would give me the image I liked and could get in this condition. I would probably have liked to have this shoot for more seconds but this is what I could get with this setup. Back home I worked on this image in Photoshop and decided to crop a little from the bottom, I could have cloned out the rocks but I find them to give more to the image as they are.